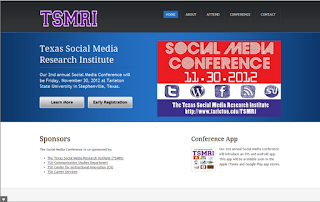 The Texas Social Media Research Institute (@TSMRI): Check out our website & conference! Check out our website & conference! 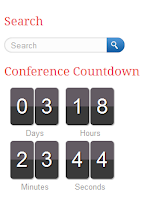 A screenshot of our conference website. When you register for the conference, you can send in your registration fee by mail, or you can pay it online with a credit/debit card. The site links to all of our social media websites, a spotlight where you can see all of our Twitter followers, and information about our conference app that we will have for iOS and Android devices. That's right-we have an app! The conference will be a great experience. You will learn about the many facets of social media as well as how to use it in your career, benefits and disadvantages of social media, and mobile applications and devices. 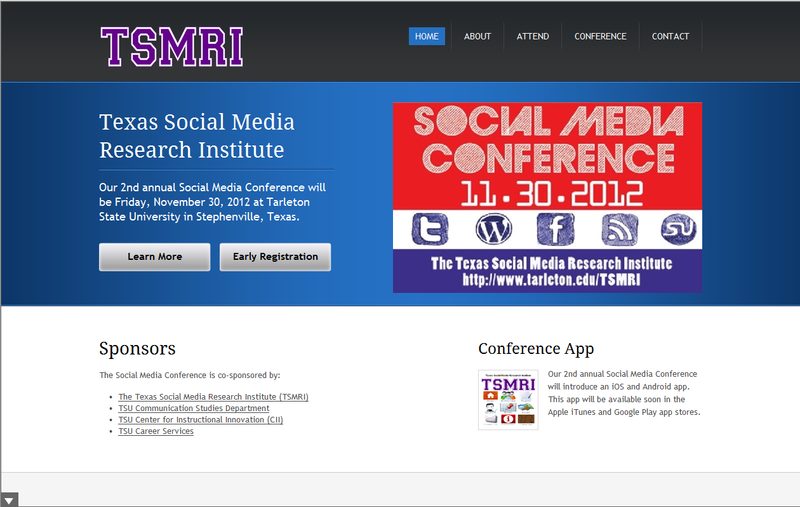 If you have any questions concerning the conference, please feel free to visit our website at www.tarleton.edu/tsmri, or you can email us. All images are from the TSMRI website. K’Leigh Bedingfield is a communications major at Tarleton State University and a TSMRI intern set to graduate in the spring of 2014. You can find her on Twitter at @BedingfieldK.